At Grootbos, we understand that responsible tourism is the future of travel. Normally terms such as sustainability are not associated with luxury travel destinations, but Grootbos is a prime example of debunking this myth. As we have just celebrated World Responsible Tourism Day and are observing 2017 as the UN year of sustainable tourism, Grootbos Private Nature Reserve is thrilled to have been awarded the WTM Responsible Tourism Award in the Best Accommodation category. Winning this award is a great recognition of a community and sustainability ethos that is observed at every level of the organization. The Grootbos team understands that the commercial operations are inextricably interdependent with conservation, culture and community commitments. 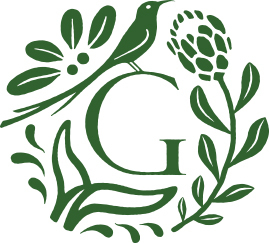 The community and sustainability observance of Grootbos was formalized with the establishment of the Grootbos Foundation in 2003. The Foundation addresses conservation and community development through numerous educational, sports, food security and skills development programmes. These programmes now reach over 10,000 members of the surrounding communities every year! On site, examples of the observance of sustainability practices include various projects. One of these is the removal of all single use plastic water bottles which has been replaced with a water bottling project on the Reserve. The laundry service has switched to eco-friendly detergents and 26 water meters measure both extraction and usage. All of this ensures the most efficient management of our water resources.